The Paleni Dairy in Casazza has its roots at the beginning of the last century, when Mr Damiano Paleni produced cheese, by transforming the milk collected in the pastures of Mount Avaro, in the high Brembana valley. From 1952, when Damiano’s son Domenico moved to Casazza, first as an employee of the local Co-operative dairy, and then, from 1955 as its owner, the traditional production of the old days could continue. A series of improvements to the structures and cheese making plants were made through the years, and the collection area was enlarged, until milk was collected from most of the Bergamo valleys. IN 1993, the last major company change took place, with the building of the new plant, covering a built-up area of about 2,000 square meters. 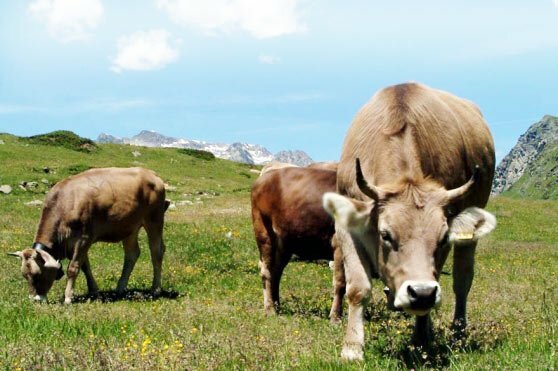 Today, the company named Caseificio Paleni S.r.l., managed by Mr. Claudio Paleni, transforms about 40,000 kilos of milk per day, all from the mountain zones. Some typical Bergamo cheeses are obtained from the processing of milk, such as Branzi, Formagella Val Cavallina, Toma Monte Corna and others.